Photo courtesy of Zingaro. I am a gipsy too. 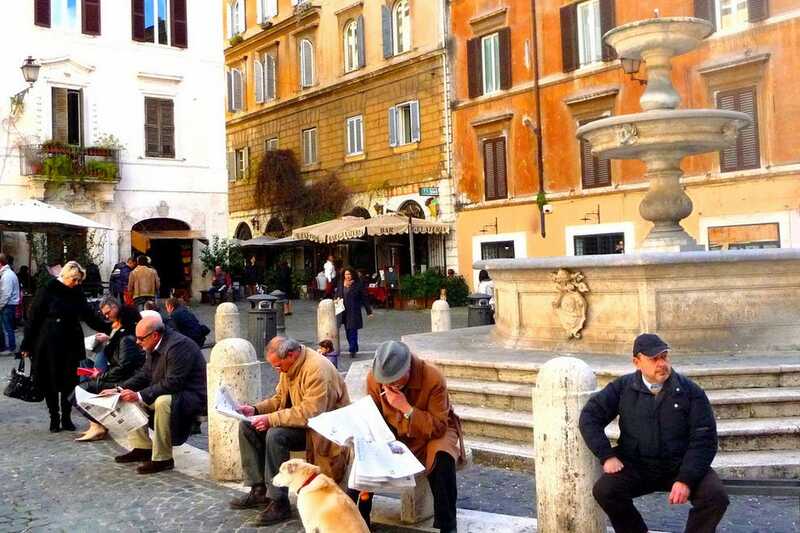 One neighborhood that often gets overlooked in Rome is the quartiere Monti. Though its location is key (smack dab in the middle of the Centro Storico and right down the street from the Colosseum), if you don't know what you're looking for, you could easily pass through here it without even realizing that you've stumbled upon a true gem. From artsy bookstore cafés to lovely little piazzas where you could spend the day sipping on cappuccinos to ethnic eatieres and not to mention gelato! 10Best gives you the scoop on why you can't pass up this hip neighborhood. Perhaps one of the biggest attractions of this hip little neighborhood are its adorable little piazzas. An Italian favorite pasttime is dolce far niente (pleasant idleness or literally sweet doing nothing). Ah yes. 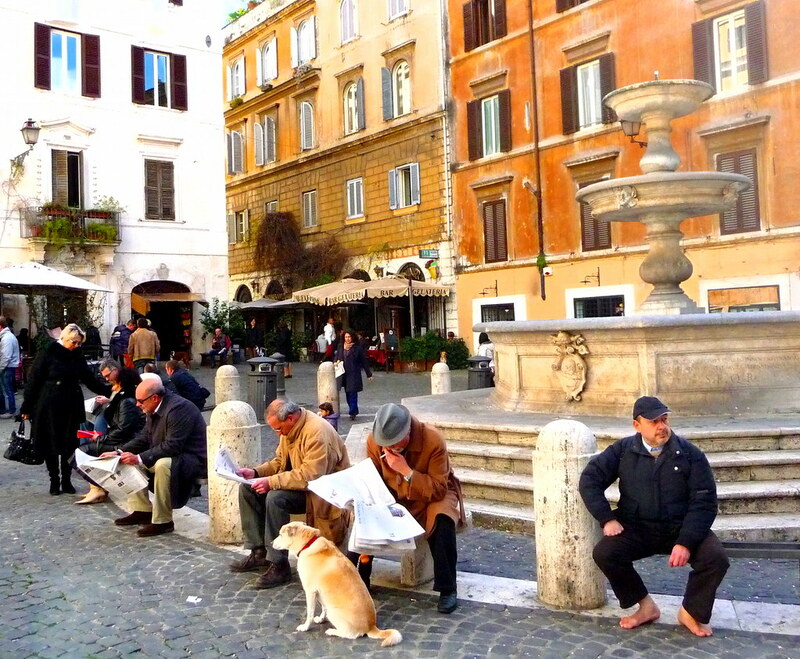 Italians love engaging in dolce far niente mostly at a café in some little lovely piazza. In Monti, those piazzas are Piazza degli Zingari and Piazza della Madonna dei Monti. Here, there are several lovely cafés and bookshops sprinkled about where you can plop yourself down, order a capuccino and read a good book. Another reason worth visiting this neighborhood is the Church of Santa Maria ai Monti, which is dedicated to the blessed Virgin Mary. Its construction was ordered by Pope Gregory XIII who called upon Giacomo della Porta to design and build the church in 1580. What makes the church particularly beautiful is its dome which contains painted frescoes of the four Evangelists. Another beauty is located in the first chapel as you enter the church on your right. Here you'll find a magnificent altarpiece called the Madonna with Child and St. Charles Borromeo. Is all of that pizza and pasta wearing you down? Never fret! Monti has a good selection of ethnic eateries from Japanese to Indian food, you can't go wrong with the selection here. On Via dei Serpenti, a popular street known for its foreign food, you'll find a slew of great Indian restaurants. While they're all pretty good, Mother India and Mahajarah are among the crème de la crème. Perhaps Indian isn't your thing and you're looking for something a bit lighter. In Rome, you'll see an abundance of Chinese restaurants sprinkled about. But what about Japanese? There are only a couple dozen Japanese restaurants and finding a good one takes being in the know. In Monti, you can't go wrong with Doozo. They have great sushi and a secret little garden in the back of the restaurant where you can dine al fresco. Heavenly! After all is said and done, you still have that craving for something sweet. What better dessert to satisfy your sweeth tooth than gelato. The uber-popular gelato shop Fatamorgana just opened up its newest location in Piazza degli Zingari, a famous punto di ritrovo (meeting place or point) for Italians both by day and night. As many people tend to skip over this neighborhood, what many don't realize is that there are a number of good little hangout spots scattered about the area. Monti is a great low-key area for having a drink with friends whether you choose to duck into a hipster artsy bookstore café or one of the various wine bars hidden in this area. One of the best places to go to in Monti is the popular artsy book store café called Libreria Caffè Bohemien. As the name suggests, the locale feels like a you're hanging out the personal library or study room of someone's home thanks to the comfy sofas and chairs that give the place a relaxed atmosphere. Here you can share a bottle of wine with friends, order a beer on tap or even sip on a cocktail. The café also does aperitivo (the Italian version of Happy Hour) for €8 from 7-9pm. Another famous watering hole in this quartiere is called Ai Tre Scalini. On pretty much any night of the week, this enoteca gets buzzing. The atmosphere is rustic with wooden tables and chairs. They have mostly wines from Lazio on stock and a few beers on tap. The place gets packed by 7pm, so be prepared to stand while you sip on your glass of wine. One of the biggest reasons why people enjoy staying in Monti aside from its charming neighborhood feel, is because of its close proximity to the Colosseum and Rome's transportation hub, Termini train station. It's also full of affordable little hotels and bed and breakfasts scattered about the neighborhood. One comfortable option for travelers looking to stay near the metro (subway) is Hotel de Monti. The tiny little hotel has a family-like atmosphere as it only has 7 rooms. The hotel is situated on the 3rd floor of an antique building built in the 1500s. Its close proximity to sights such as the Basilica di Santa Maria Maggiore, the Colosseum and the Teatro dell'Opera make it a popular location with visitors. It's also conveniently located near the metro stop Cavour. If a B&B is what you're looking for, you might consider trying Il Covo Bed & Breakfast Rome. What makes this little B&B so unique is its charming café located in the Piazza Madonna dei Monti. It's the perfect place for you to start out your day with a typical Italian breakfast (cappuccino and a cornetto). 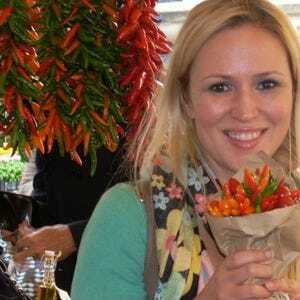 Browsing the shops in Monti is not your average shopping experience. As the area is jumping with up-and-coming artisans, local designers and vintage shops, stumble upon a true gem and you might just walk out with some major sciccheria (chic and elegant items)! As good vintage shops are hard to come by in this city, making a mention of the good ones around town is definitely worth our while. One of the most popular vintage shops is God Save the Look. The shop does not sell everything but the kitchen sink. You can go to the Porta Portese Market in Trastevere for that. Instead, at God Save the Look, you can find some classy upscale cocktail party dresses perfect for painting the town red in Monti! Another good place to check out is Pifebo. Though, there's a slightly different vibe here. Expect to find wild a crazy get-ups, feathered boas and everything sequined in addition to that vintage 1930s do you were looking to snag for that hot date you have with Gianluca.